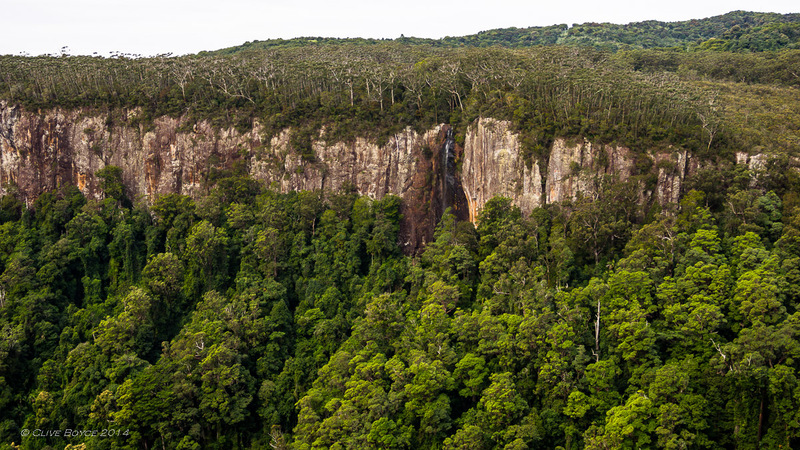 The range is some 850-1000 metres in elevation and capped by an ancient lava flow. 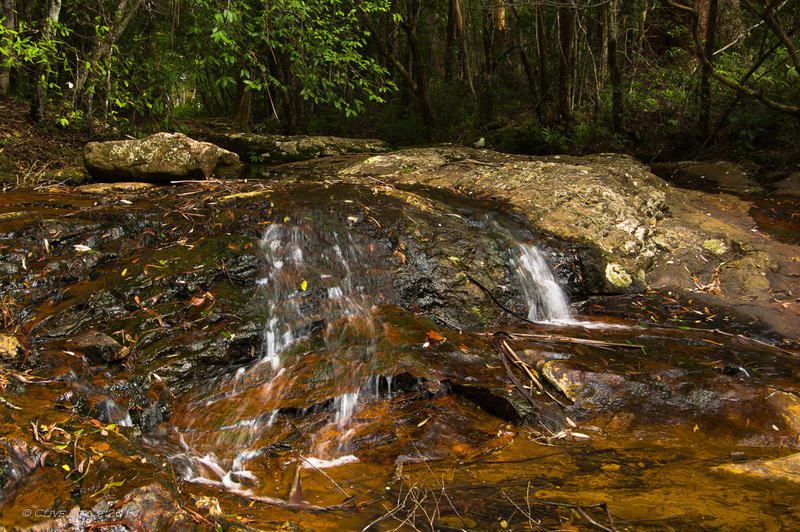 Multiple creeks plunge off the plateau and into the canyon, eventually finding their way into the Nerang River. 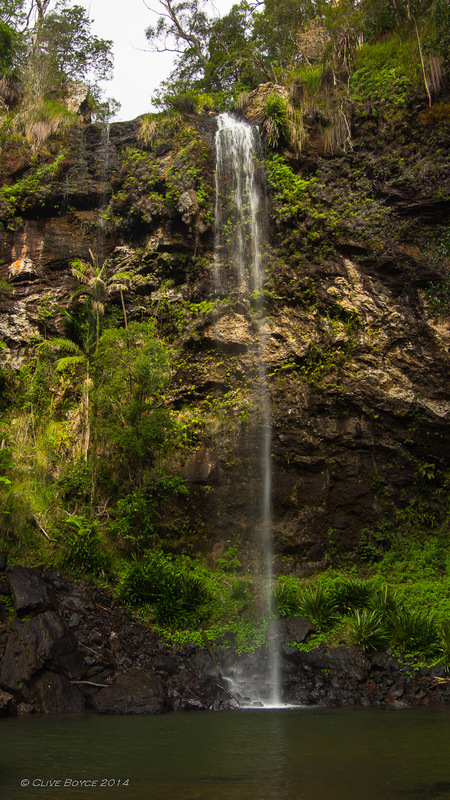 Goomoolahra Falls, a 60m drop to the bottom. 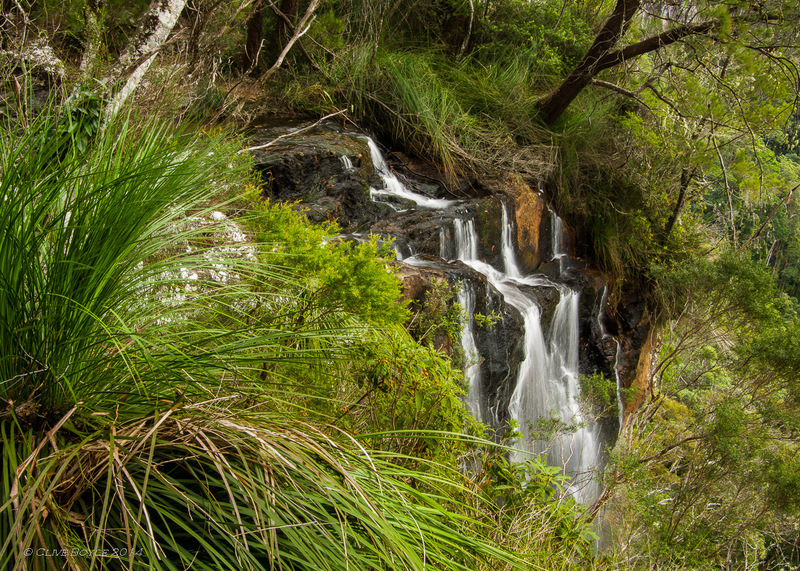 There are many bushwalking tracks within the park. 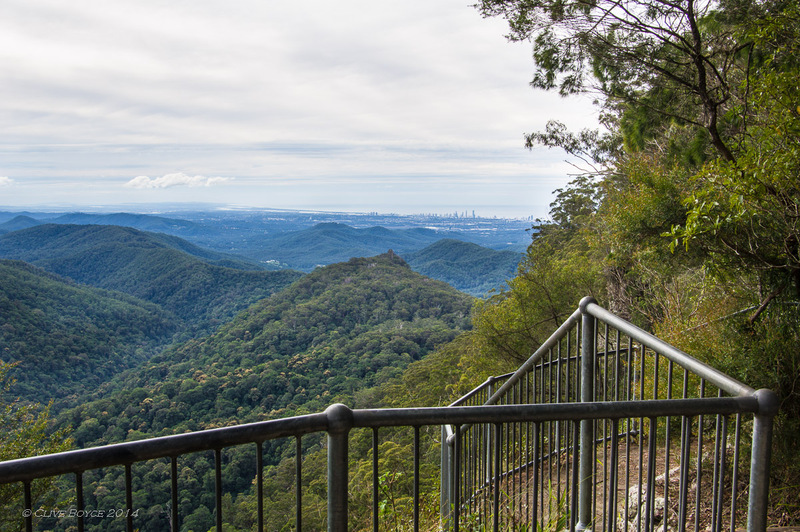 Back down the road a little from Goomoolahra Falls is the Canyon lookout which can be used as an access point for the Twin Falls bush walk. 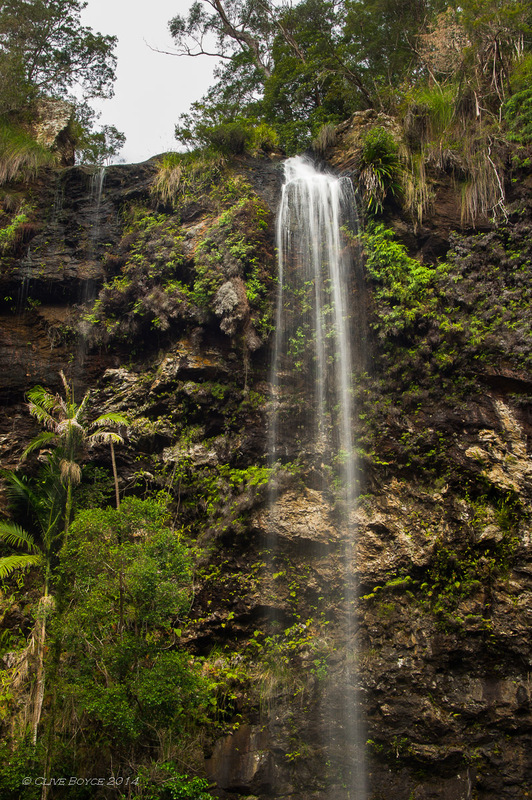 The Twin Falls track is a 4km circuit, half of which is along the top edge of the plateau and the other half though the sub-tropical rainforest found along the base of the cliffs. 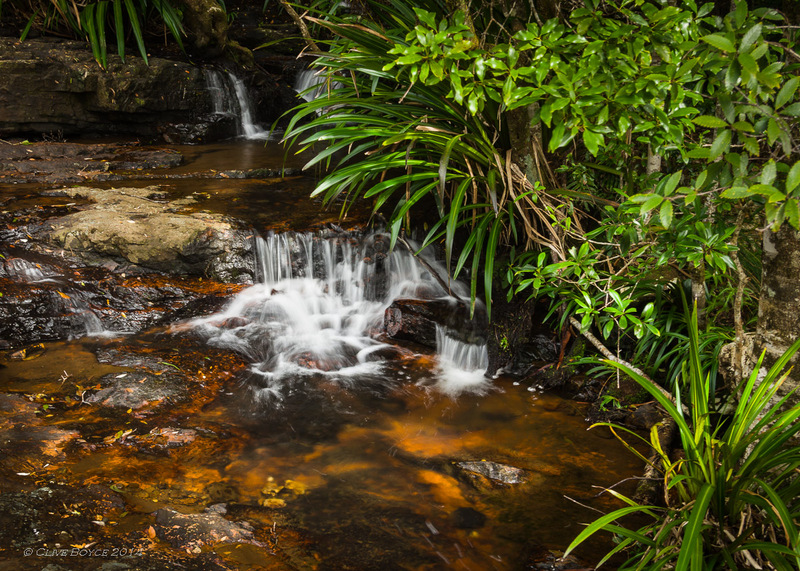 It’s around a 2 hour walk, but if you are a keen photographer, plan on adding on another one to two hours, as there is lots to stop for. 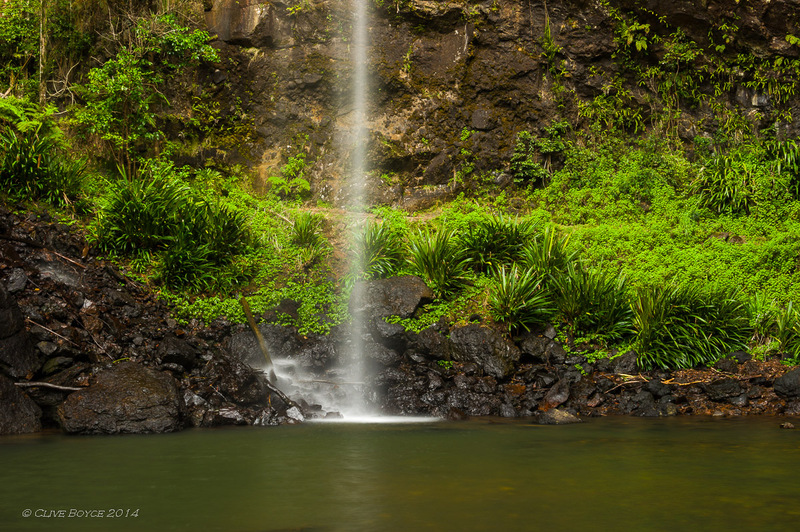 The next sequence of photos come from my wander along the Twin Falls track. 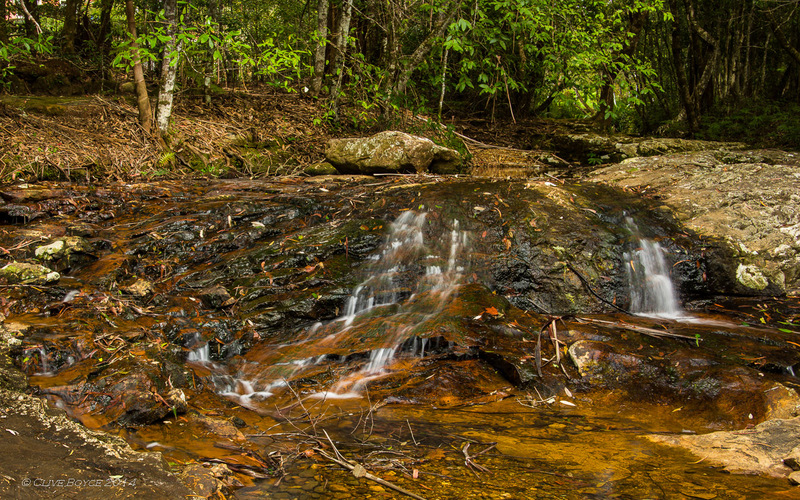 Another small creek soon to plunge over the plateau cliffs. 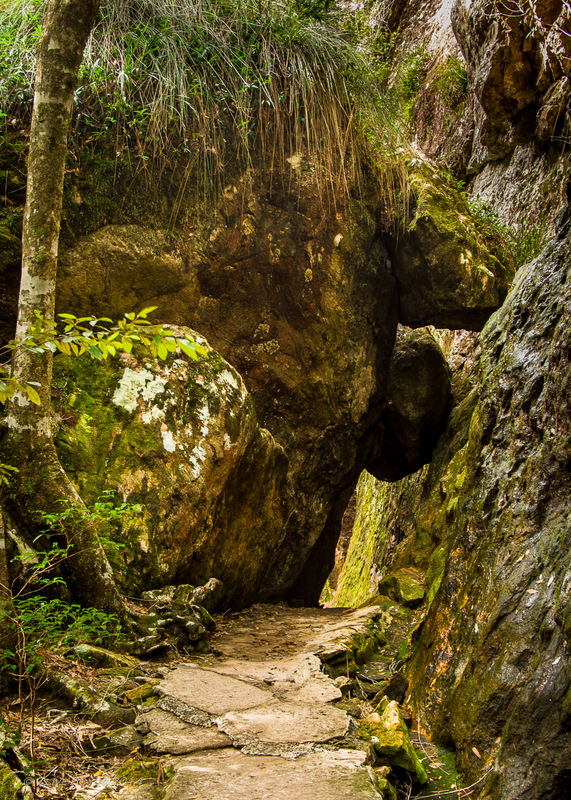 On the descent off the plateau, the track passes through several crevices formed by enormous boulders that long ago broke off the cliffs. 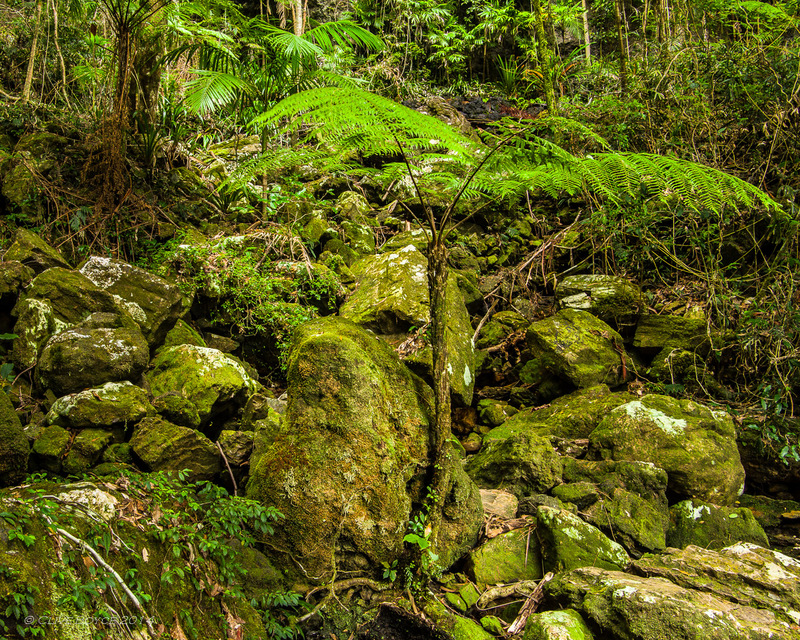 It’s a lush moist environment with palms and tree ferns among the trees. 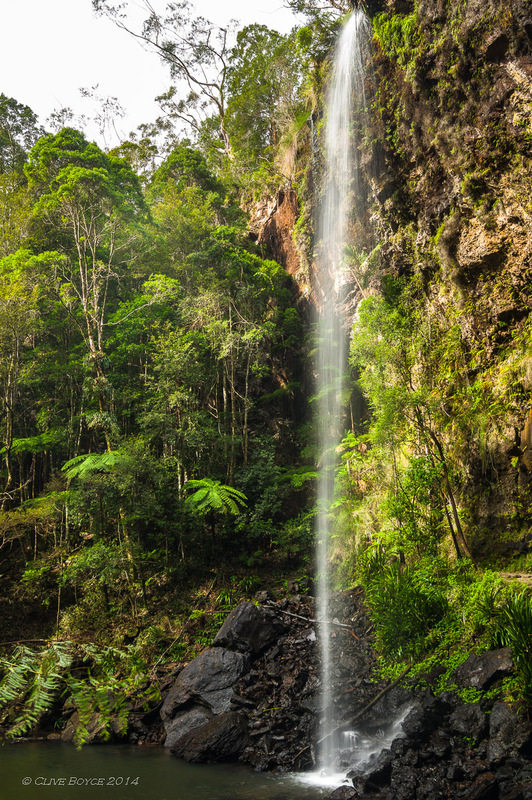 Once on the lower section, the track passes behind Twin Falls, the first of two waterfalls found along the track. Wetted, the dark volcanic nature of the rock is very apparent. Bottom of the falls. This image reminds me of the introductions to the Mr Bean tv series, where Mr Bean drops to the street in a shaft of light. He was absent on this occasion. 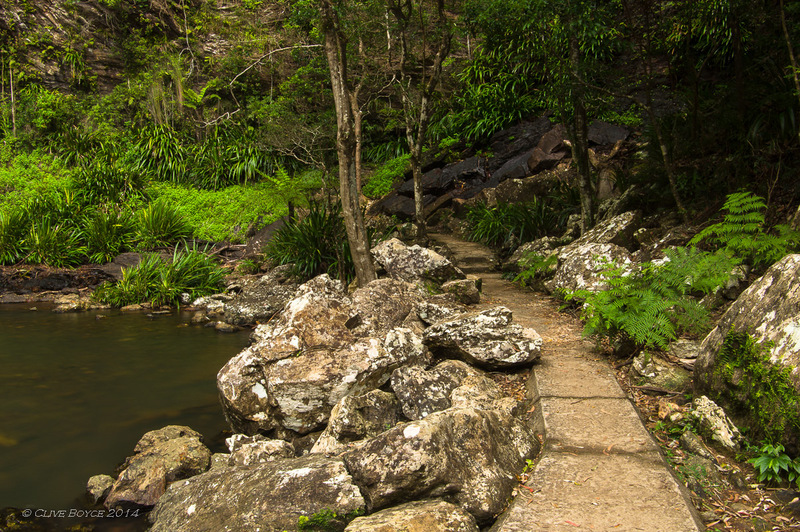 The walking path skirts around the edge of the waterhole. 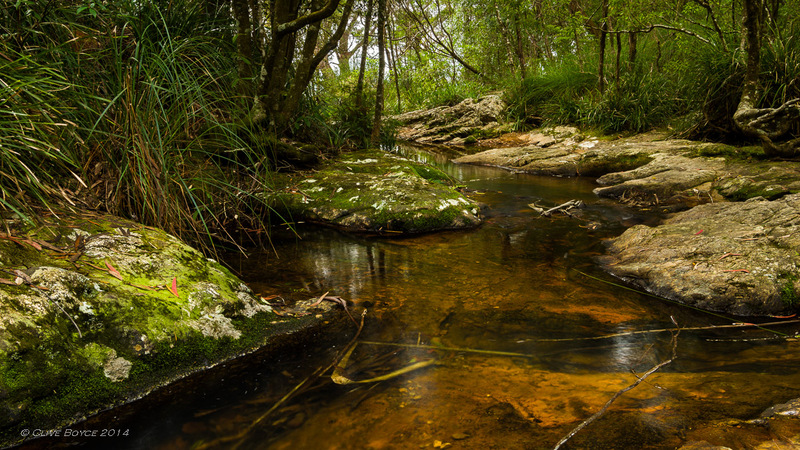 Looks to be a lovely spot for a dip on a hot and humid summers day.